Mukherjee, Vice President Hamid Ansari and Modi offered floral tributes at Gandhi’s memorial at Rajghat in New Delhi. 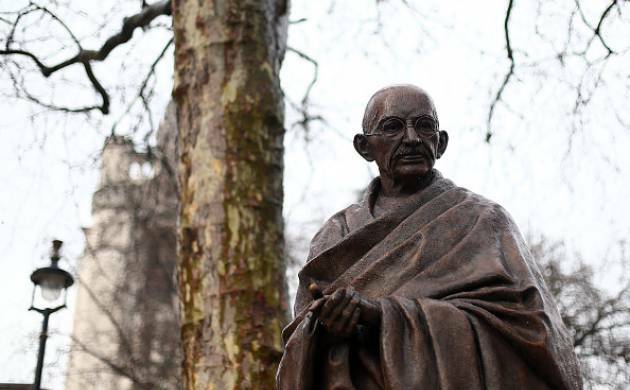 The nation on Monday remembered Mahatma Gandhi on his 69th death anniversary with President Pranab Mukherjee and Prime Minister Narendra Modi leading the country in paying homage to the Father of the Nation. Congress President Sonia Gandhi and Union Urban Development Venkaiah Naidu were also among those who paid homage to the Father of the Nation at Rajghat, where an interfaith prayer was held. Remembering Mahatma on his death anniversary, Modi tweeted, “Tributes to beloved Bapu on his Punya Tithi”. Mahatma Gandhi was assassinated on this day in 1948 while he was on his evening prayer. Others who paid tribute to the Father of the Nation included veteran BJP leader L K Advani and Union Minister Rao Inderjit Singh. The three service chiefs - Admiral Sunil Lanba, Air Chief Marshal B S Dhanoa and General Bipin Rawat were also present. At Rajghat, a gun salute was given and a group of singers sang devotional songs as school students and people from different walks of life gathered there to pay respects to the Mahatma. A two-minute silence was also observed across the country at 11 AM to mark the Martyrs’ Day.